Marjory Stoneman Douglas High School Principal Ty Thompson is part of a human resources investigation and will have a reduced role at the school, teachers confirmed to NBC 6. The developments were revealed at a faculty meeting at the Parkland school Thursday that was attended by Broward Schools Superintendent Robert Runcie, the teachers said. Faculty members were told they would receive an organizational chart when they get back from spring break. Broward Schools spokesperson Kathy Koch said Thompson will remain at the school to focus on recovery efforts, and to provide oversight on the construction of the new replacement building. He will also continue to participate in student activities and events, including the upcoming prom and graduation, and regional and state competitions. The school’s day-to-day operations will be managed by Principal Teresa Hall, who joined MSD as co-principal in July 2018. 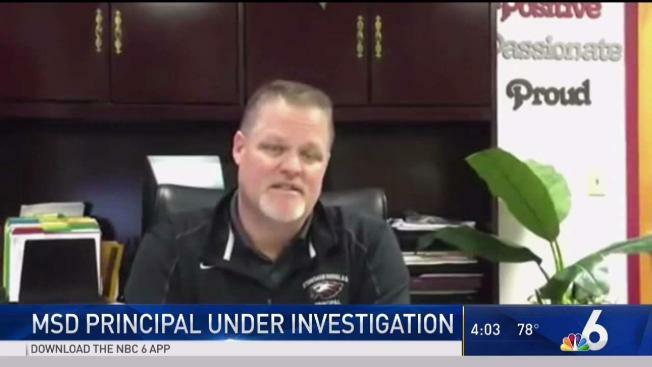 Additional oversight and support will be provided by former MSD Principal Dan Traeger. The district has hired an outside firm to investigate Thompson, along with three assistant principals who were already reassigned in the wake of the Feb. 14, 2018 shooting at the school, the teachers said. They stressed it was a human resources investigation, not a criminal investigation. "District administrators based the decision to keep Principal Thompson at MSD to be in the best interest of the students and teachers. Since the tragedy, Thompson has provided stability to the school and community, and has been considered by many to be instrumental in helping with healing and recovery," Koch's statement read, in part. Some of the teachers said they are upset because they feel Thompson and the assistant principals are being scapegoated, and others feel district personnel higher up the chain, including Runcie himself, are not being investigated. "I am confident this approach will allow the investigation process to continue while maintaining consistency for students, families and staff," Runcie said in a statement.